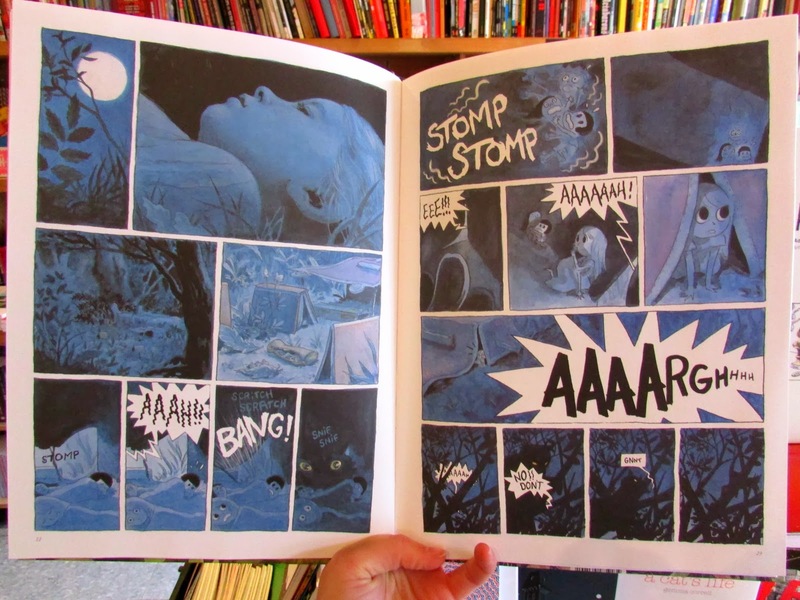 211 Bernard: Out Today: Fabien Vehlmann & Kerascoët’s Beautiful Darkness! 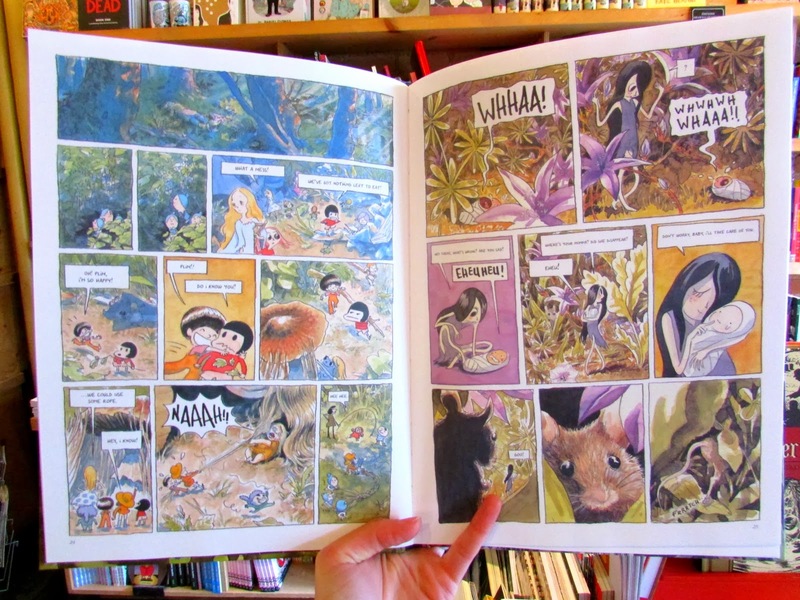 Out Today: Fabien Vehlmann & Kerascoët’s Beautiful Darkness! 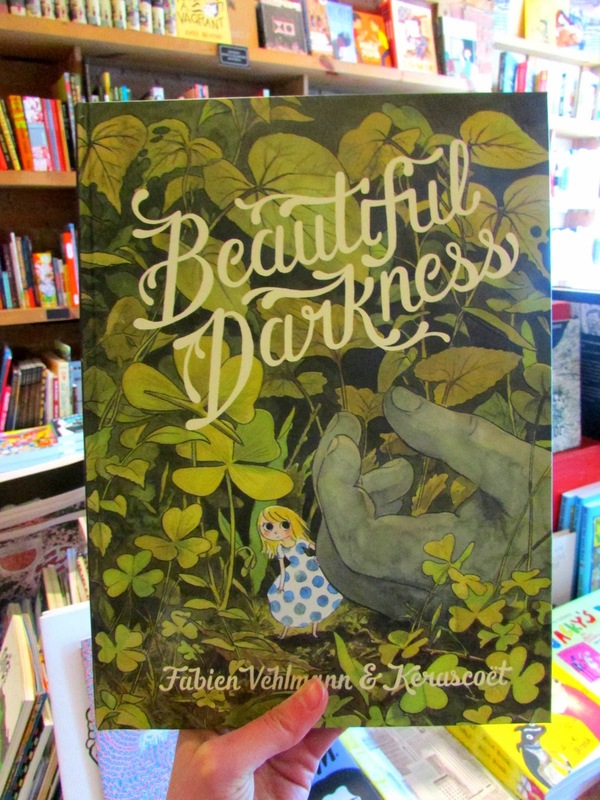 We are unbelievably excited to let you know that Beautiful Darkness, by Fabien Vehlmann & Kerascoët and translated by Helge Dascher, is available today! 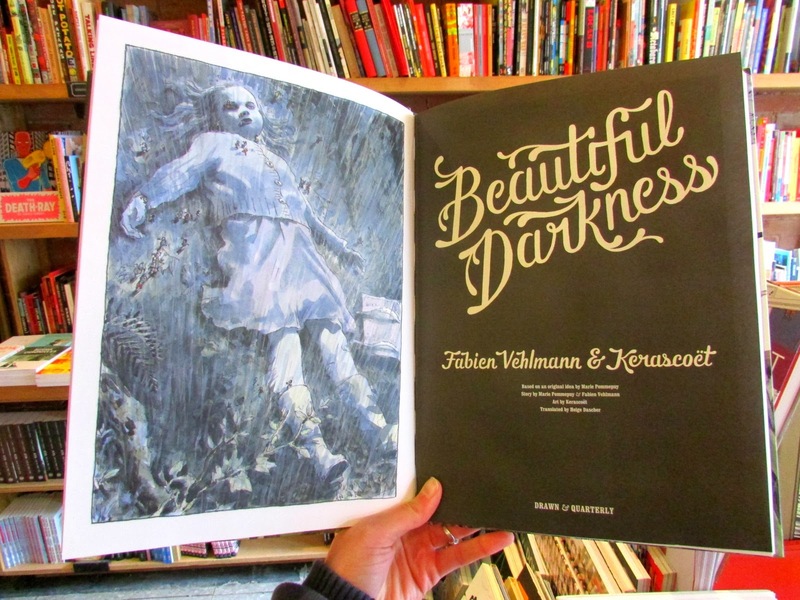 Beautiful Darkness, originally published in French as Jolies Tenebres by Les Éditions Dupuis (2009), is the first book by Vehlmann & Kerascoët to be published by Drawn and Quarterly. 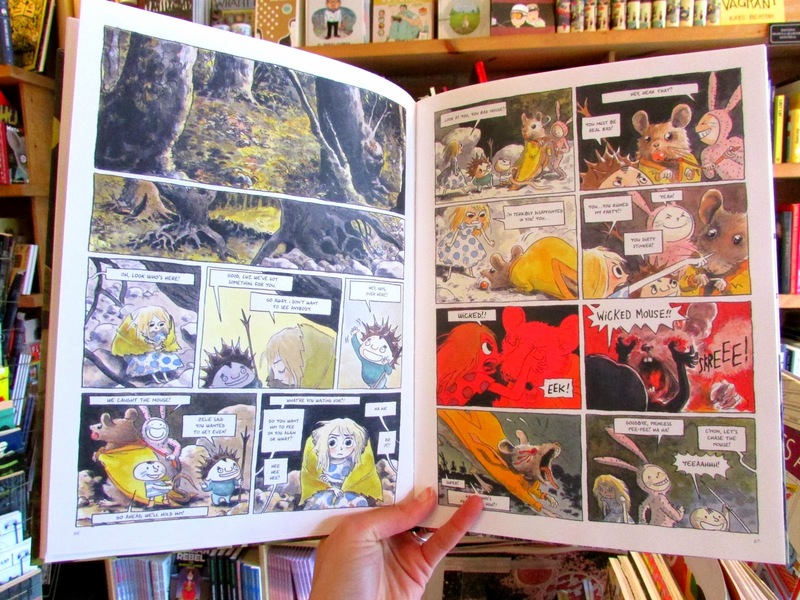 Fabien Vehlmann, who wrote the Jason-drawn comic Isle of 100,000 Graves, has penned a grim story here (based on an idea by Marie Pommepuy), one that breaks its characters down and shows the capacity for evil in even the sweetest looking of princesses. Husband and wife team Marie Pommepuy & Sébastien Cosset (pen name Kerascoët), who have illustrated several incredible books, including Beauté and Miss Pas Touche, create a lush and serene watercolour backdrop for a host of tiny creatures who have been displaced from their home inside the head of a young girl, and must find a way to survive. 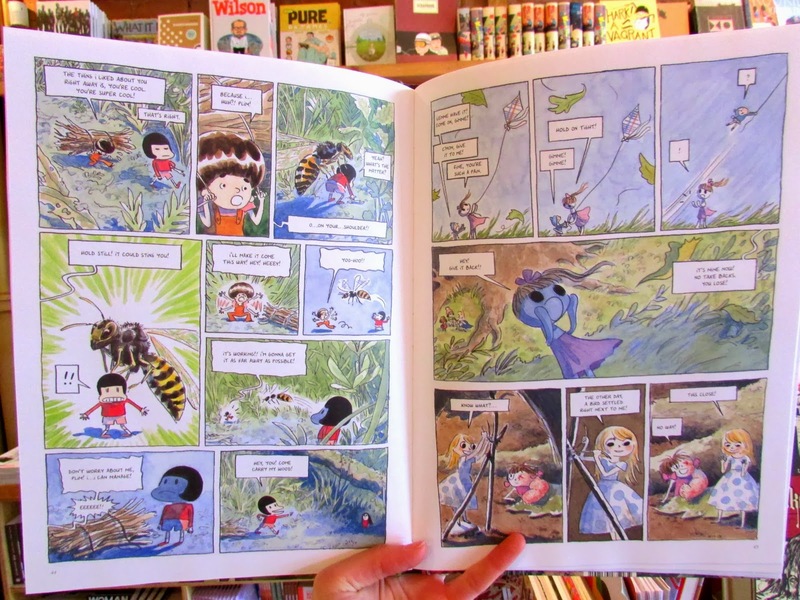 From here our little gaggle of adorable characters are thrown into a world of natural dangers – insects, cats, crows, the coming winter – all while remaining oblivious to the danger they pose to each other. Our heroine, Aurora, attempts to make the best of the situation by leading the others to food, making shelters, and providing friendship and support, but soon even she is tested. Her presence is stabilizing, but she cannot always be there, and it is in her absence that we begin to see survival instincts played out by characters whose casual cruelty lacks any introspection or sympathy. Violence and death are written and illustrated in an offhand way, the way children might imagine a game of cops and robbers: one panel you’re alive, the next you’re gone, and in the next, everyone has already forgotten you were there in the first place. Selfishness, spite, deceit, callousness, competitiveness… it’s difficult to read about extreme versions of behaviour we so often exhibit in life, but Vehlmann and Kerascoët have made it impossible to look away. This story will stick with you whether you want it to or not, and you might find yourself remembering specific panels for a few sleepless nights. Beautiful Darkness is unsettling, intelligent, and a joy to look at, and we are so excited for it to become a new classic.